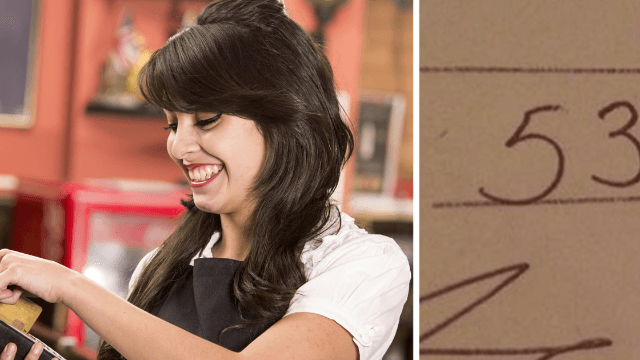 Here's a clever Pi Day receipt joke you'll have to wait a whole year to plagiarize. Tuesday was Pi Day, the best day of the year for math nerds. 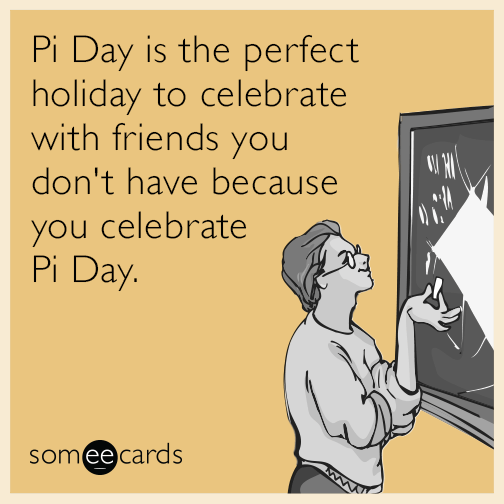 Not to be mistaken for Pie Day, which is everyday, but Pi Day—March 14. It's the date that matches best with the mathematical symbol Pi, which is approximately the number 3.14, but in reality extends after the decimal point to infinity. They listed as many numbers of Pi as they could fit... and then very helpfully rounded up. 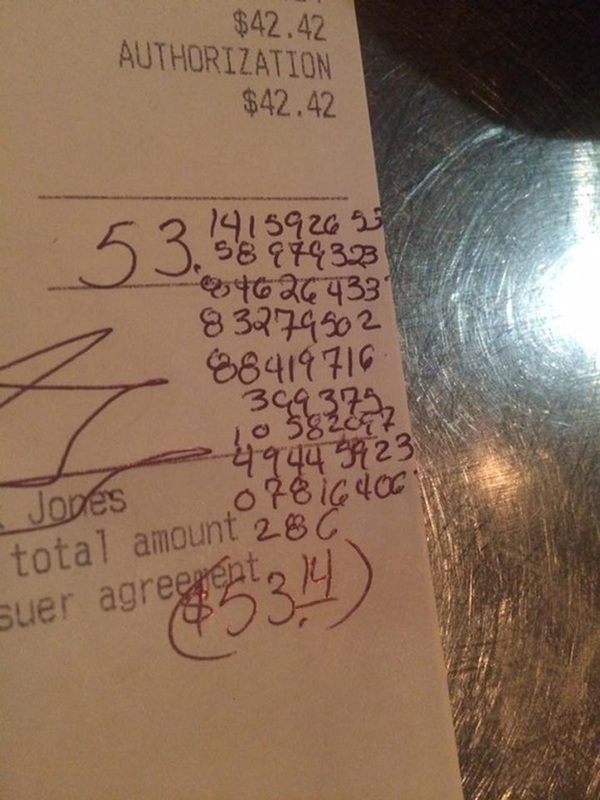 Which was kind, because that way the server wouldn't be stuck trying to figure out how to tip-share an irrational number thanks to a dumb joke. By the way, it would be a tragedy if this diner did not order pie.